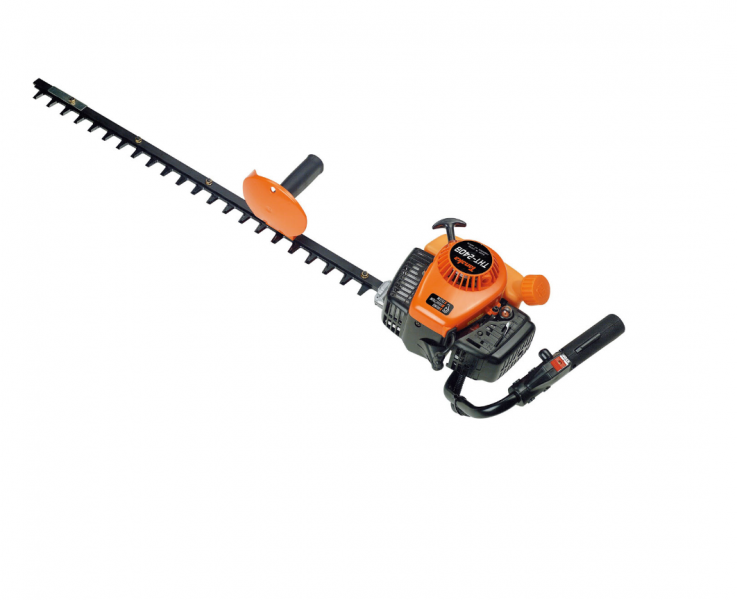 This commercial-duty Hedge Trimmer from Tanaka is characterised by its single-sided blade, which allows for a larger cut with less weight than a comparable double-sided model (it weighs just 4.9kg). Power for the substantial 760mm blade is delivered by a low-emission 22cc two-stroke engine. There’s also a transistorised electronic ignition and a premium-grade Walbro carburettor for ultra-reliable starts; and a forged-steel connector-rod and chromed cylinder-lining for exceptional long-term dependability. The Tanaka THT 240 hedge trimmer has been equipped with a Quick-Twist™ five-stage adjustable rear-handle, which makes shaping and vertical cutting a whole lot more comfortable.